Functional Testing is an essential element of testing where you are about to release an application and its functionality fit. The considerations are – is the application validated for all requirements and is the functionality verified for the output desired? Once project requirements are converted to test cases, the active phase begins whereby BeyondSOA incorporates automated testing enabling speedy detection of defects. This phase is given due importance at BeyondSOA and the results duly interpreted in order to understand the defects and issues causing them, access the severity of the defects, and thereby establish the importance and priority of the defect fixes. defect fixes are systematically documented and trailed and tracked through the entire defect life cycle. BeyondSOA makes sure this is part of our repertoire of the testing phase as this gives broader coverage of the applications' functional behaviour. BeyondSOA employs pre-defined script- based testing along with the exploratory testing which is non-script based and knowledgeably rich investigation. BeyondSOA brings in the practice of working at all stages of testing right from Unit testing to systems integration thereby ensuring quality control in all critical areas of application development and implementation. BeyondSOA ensures that the project starts off well, instituting a productive test environment with a testing team working closely with clientele to understand project aims and objectives, deliverables and structure. BeyondSOA closely follows industry standards and best practices to enable provision of cutting-edge solutions with maintainable architecture, enhanced performance and maintainability of every application's module or component. BeyondSOA with its extensive testing experience and a mature testing team with exceptional analytical knowledge, ensure systems compliance with the defined technology, functional and business requirements, as well as well-developed scenarios. BeyondSOA with its extensive testing experience and a mature testing team with exceptional analytical knowledge, ensure systems compliance with the defined technology, functional and business requirements, as well as well-developed scenarios. BeyondSOA ensures that the system components and modules relate and interact with reliability, bringing down considerable implementation and integration costs and reduction in TCO for end users. With our extensive experience in quality testing of projects comprising of manifold systems, collaboration and dispositions we provide best-in-class enterprise solutions. The quality assurance of a system is complete only when it passes the test of both Functional compliance and the most essential Non Functional quality attributes like Security, Performance, Reliability, Compatibility and the like. Non functional testing of software applications saves businesses from losing customers' trust and business reputation on account of performance flaws of their products and services. Our performance testing ensures that the application functions well in terms of stability and scalability offering suggestions for performance tuning. We at BeyondSOA provide customized performance testing for all kinds of software applications including web applications, enterprise solutions and mobile applications. Our performance testing capabilities include capacity and performance modelling, monitoring and profiling of systems and applications, performance management and test labs. We have competencies in the performance testing of web, cloud, mobile and SOAP performances. We perform vulnerability assessment, penetration testing and application and information security evaluation and provide security policy development and consulting services. With IT world getting polluted by hackers day after day, trying to cause threats to software systems by means of database injections, cross-site scripting and other such methods, building secure systems is the need of the hour. BeyondSOA team constantly observes latest security threats and areas of vulnerabilities in software applications. We have sound knowledge in testing the security of software applications of different industry verticals like web & mobile applications and products. We ensure the best user experience and clear information architecture in usability testing. Ensuring that applications are easy to use and match customer expectations and intentions will improve customer satisfaction and retention. Usability Testing aids customers in achieving this and also decreases cost on support and modifications. Our experts at BeyondSOA evaluate user experience, interaction design, information architecture and management of content, knowledge and brand. We check for device, platform, browser, database and server compatibilities. Celebrating diversity has become the norm of software world. The menu of technology choices is growing rapidly in size, throwing more light on the importance of compatibility of software applications to these choices. BeyondSOA is well aware of the challenges of ensuring compatibility of software applications with respect to various versions of operating systems, devices, databases and other system entities. We verify language and regional attributes and reconfirm functional compliance in our localization testing services. Localization of applications has become a critical factor in increasing sales and cross border mergers and acquisitions of global players. 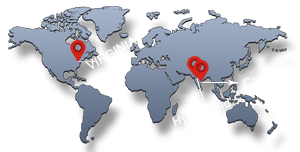 BeyondSOA has expertise in localization testing of software applications. 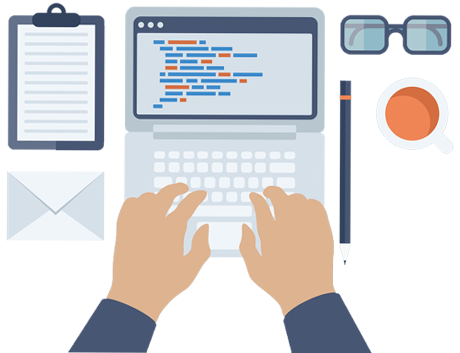 The key focus areas include Web applications testing, Enterprise applications testing, desktop & Client server applications, Apps for Mobile & Embedded Devices, Localized Libraries, APIs, Tools. We validate SOA applications for the compliance of WSDL, functionality, performance and security. As a result of peaked advancements in internet technologies, Service Oriented Architecture and interoperability of systems have become common ingredients of modern applications. BeyondSOA has in-depth knowledge of SOA standards and protocols and has the latest tools to offer the best SOA testing services. BeyondSOA has the best technology and people expertise in helping your applications achieve an all round quality excellence. Our testing for web focuses on the end to end of how web apps work. We test for various components that interact with each other to produce what the user is supposed to be touching. We know so much about web apps that our love to test it has only increased. There are so many more things we don't know about web apps that we love the learning we have every time we test it. We analyze your target audience and decide on which types of devices your customers would have. BeyondSOA Mobile Test Lab houses physical devices based on Manufacturers, Device popularity, Platforms, Operating Systems, Screen Sizes, Networks, Pixel Density, Technologies and whatever brings the variation. Just because the mobile apps are taking off doesn't mean you can ignore the quality of desktop apps. Billions of users interact with desktop every day, and they expect those apps to be high quality from the start. With so many operating systems, platforms, languages and environment to validate, desktop app developers face a new range of challenges. BeyondSOA is here to help you rise to the app quality challenges. Consumers today expect their iPad apps to have a unique interface that fills their iPad rather than a repurposed version of an iPhone app. And developers are listening, using the extra pixels to introduce new features and improve the user experience. With that decision comes an increased need for in-the-wild testing. 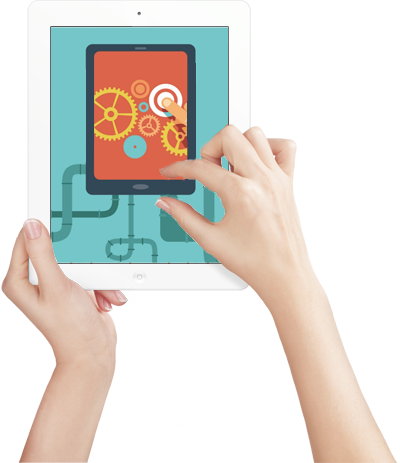 Whether your app is in your test lab or production, BeyondSOA can help you solve the unique challenges of testing your iPad apps, including making sure your app runs flawlessly on iOS 6 and 7 and on Retina and non-Retina displays. We identify the risks of concern and define a test process that ensures these risks are addressed. It is axiomatic that a problem is cheaper to fix if identified early, so the test process should be aligned very closely to the development process. Testing of the product should commence as soon as it is been built. BeyondSOA offers Test Advisory Services that enables your quality assurance endeavours to achieve perfection. We evaluate the existing quality measures and recognize areas to be improved by comparing against industry guidelines. Our team collaborates with you in ranking the identified processes for enhancements. Our established strategies, exemplary services and strategic assessment structure helps you develop customized quality assurance competences flexible to your growing needs by means of procedures, technology, methodology and Infrastructure. We help our clients in establishing Test Centers of Excellence (TCoE) for large scale projects. The service arrangement is a flexible resourcing model with the homogenous integration of resources, processes and technology. It includes a dedicated main team for each of the applications under evaluation and a supporting team to work on shared mode for inter team collaboration and faster work output. The model also enables knowledge sharing within the team. We provide Test Environment planning advisory services that aid businesses in the preparation of Test environment with suitable hardware and software set up. Before the commencement of testing, we verify that the environment is ready for flawless test execution. Being an Independent Validation Service provider, BeyondSOA delivers Process / QA Consulting services to help Customers in developing the required testing / QA processes and procedures such as QA Management, Change Request Management, Configuration Management etc. These processes will enhance the overall process maturity and support businesses in obtaining substantial profits. We devise test data strategy based on the business needs and data specifications of the applications. These strategies assist in improving the quality and effectiveness of test cases. We generate test data relevant to the business processes and provide as functional parameters to the test cases/scenarios for better coverage. Our team validates the test environment by providing suitable test data as inputs through the user interface of the application. We at BeyondSOA perform an in-depth Tool assessment and Test Automation Feasibility study to discover the appropriate functional test scenarios for automated regression testing. These services offer guidance to customers in estimating their projected ROI while implementing quality improvements. The essence of our Consulting Services is a proprietary evaluation framework that depicts processes mapped to CMMI levels and enhanced by experience, obtained through live quality assurance projects. BeyondSOA's industry centric testing strategies and domain expertise help us offer consulting services that are exceptional both from the technology perspective and from a business perspective.